Bob Oatley sadly just died on the 11th of January. He founded Rosemount in the 1970's and since then has made many different labels all over Australia. 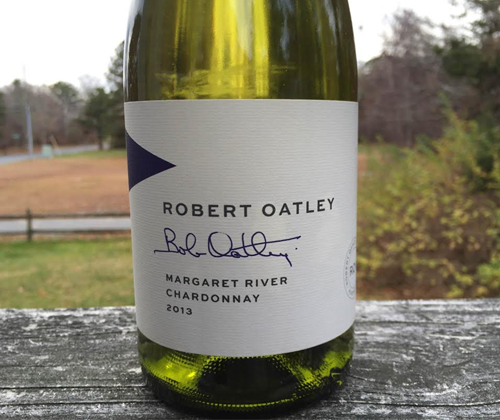 This one is from the Robert Oatley Signature Series and it's out of Margaret River. Margaret River is the hot wine region in Australia right now. Rather than being in the southeast of the continent, it's way over on the other side by the western coast. Their Chardonnays are especially exploding in popularity and deservedly so. They're awesome. 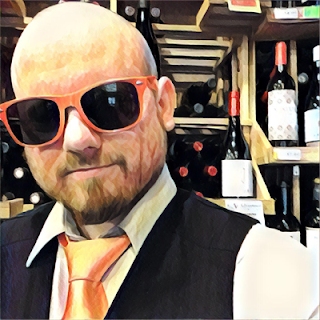 Sales for the country's wine industry has been rough the past few years, but hopefully Margaret River can lead the way for Australia to get back into people's wine glasses. It's a lightly oaked Chardonnay and the color is a pale yellow. You get that touch of oak on the nose, along with peach and apple. In the mouth it's peachy and apply too and a little bit salty. It's tart with bright acidity and finishes with oak and apple. I can see that they're going for a Chablis-style character but the midpalate is more reminiscent of an Albarino than a Chablis to me. That's not a criticism, just a thought. Because hey, Chablis is on the other side of the world so fuggedabowdit. The important thing is that it's still identifiable as a Chardonnay. It's a nice, crisp, refreshing Chard that would be even better at the beach or by the pool. That said, it's worth the $18 but I wouldn't pay more for it.